With a stay at Hôtel du Dauphin in L'Aigle, you'll be just steps from Church of Saint Jean and Juin 44 Museum. Featured amenities include a business center, express check-in, and express check-out. Planning an event in L'Aigle? This hotel has facilities measuring 2260 square feet (210 square meters), including a meeting room. Free self parking is available onsite. With a stay at Ecogîte Les Papillons des Sucs in Saint-Maurice-de-Lignon, you'll be 29.1 mi (46.9 km) from Stade Geoffroy-Guichard and 29.4 mi (47.4 km) from Musee des Beaux-Arts. 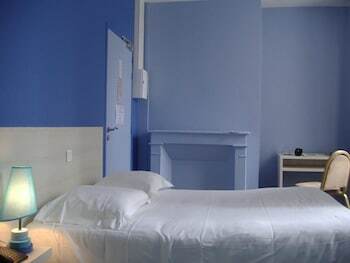 Located in Lyon (Lyon City Centre), this apartment is within a 10-minute drive of Bellecour Square and Textile Museum. Located in Carcassonne, Villa Rébenty is within a 5-minute drive of Narbonnaise Gate and Chateau Comtal. The front desk is staffed during limited hours. Free self parking is available onsite. When you stay at Auberge des Voiliers in Peigney, you'll be 10 minutes by car from Langres Cathedral. Free self parking is available onsite. Located in Saint-Thegonnec Loc-Eguiner, Auberge Saint-Thegonnec is a 1-minute drive from Saint-Thegonnec Church and 9 minutes from Guimiliau Church. Free self parking is available onsite. When you stay at Auberge du President in Cormeilles, you'll be 3 minutes by foot from Distillerie Busnel. Free self parking is available onsite.